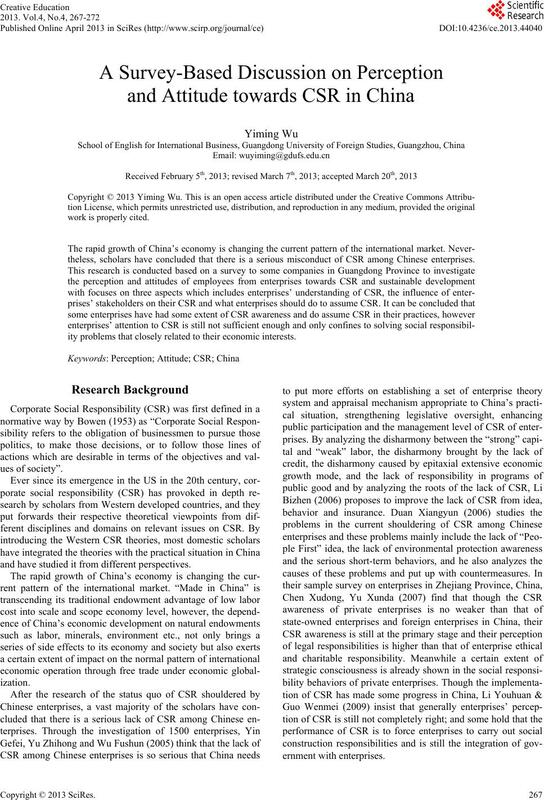 theless, scholars have concluded that there is a serious misconduct of CSR among Chinese enterprises. ity problems that closely related to their economic interests. and have studied it from different perspectives. should do to assume CSR. dominating. The survey result can be found in Figure 1.
contrary, they regard it as a necessity for enterprises to assume . spend more on sustainable products. like to sacrifice short-term gains for long-tem returns. How do you understand the implication of corporate responsibility? 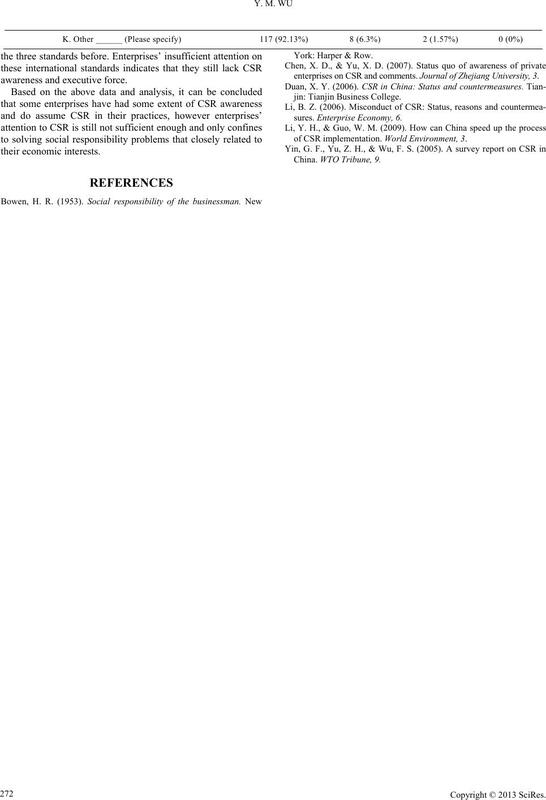 Copyright © 2013 SciRe s.
Is sustainability an important socio-economic issue? If choose “Yes”, what is the role of business? constraints (social, economic, technological elements etc.). they make the decision on whether or how to assume CSR? second part of the questionnaire. What do you see as the top drivers for a responsible business? aries of CSR by analyzing the answers of the respondents. 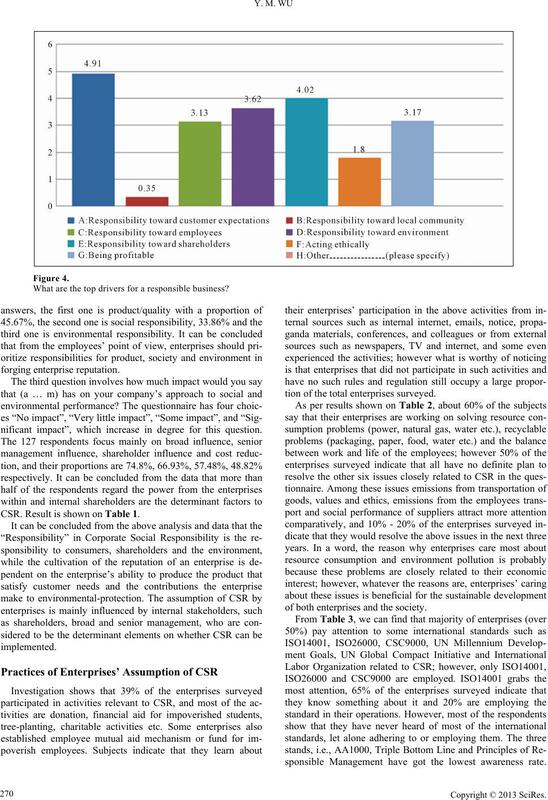 What are the top drivers for a responsible business? nificant impact”, which increase in degree for this question. CSR. 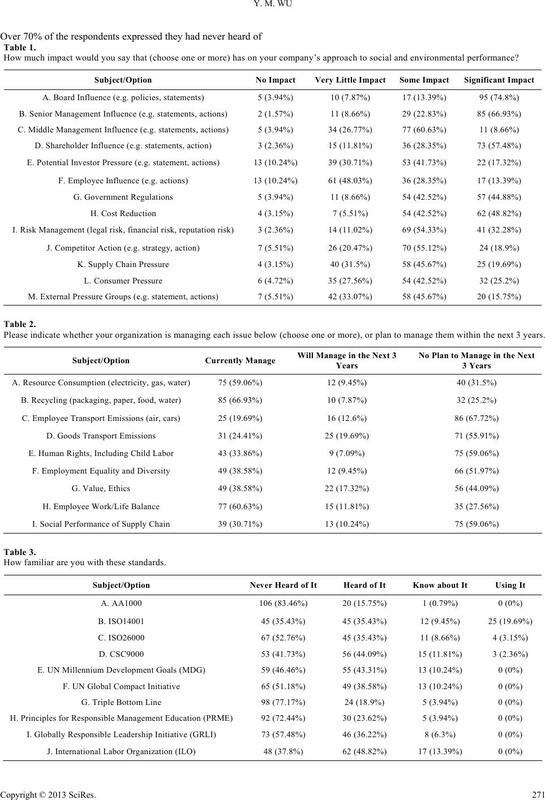 Result is shown on Table 1.
tion of the total enterprises surveyed. of both enterprises and the society. sponsible Management have got the lowest awareness rate. How much impact would you say that (choose one or more) has on your company’s approach to social and environmental performance? Please indicate whether your organization is managing each issue below (choose one or more), or plan to manage them within the next 3 years. How familiar are you with these standards. 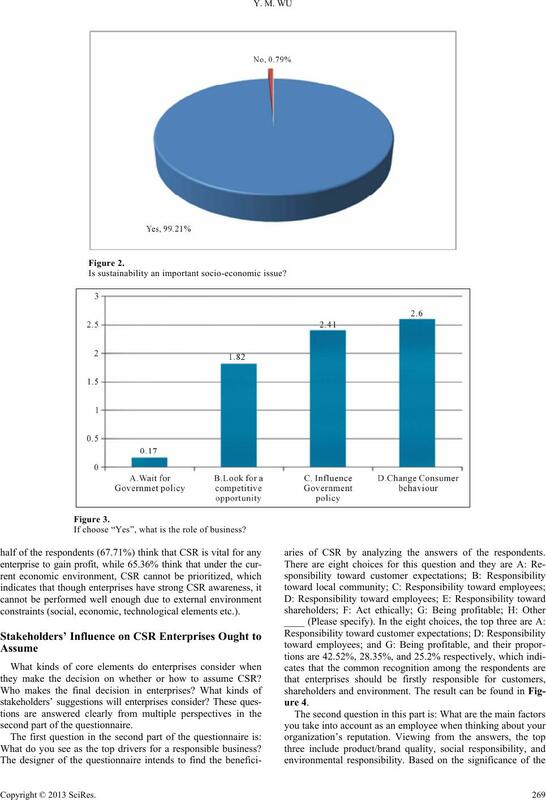 enterprises on CSR and comments. 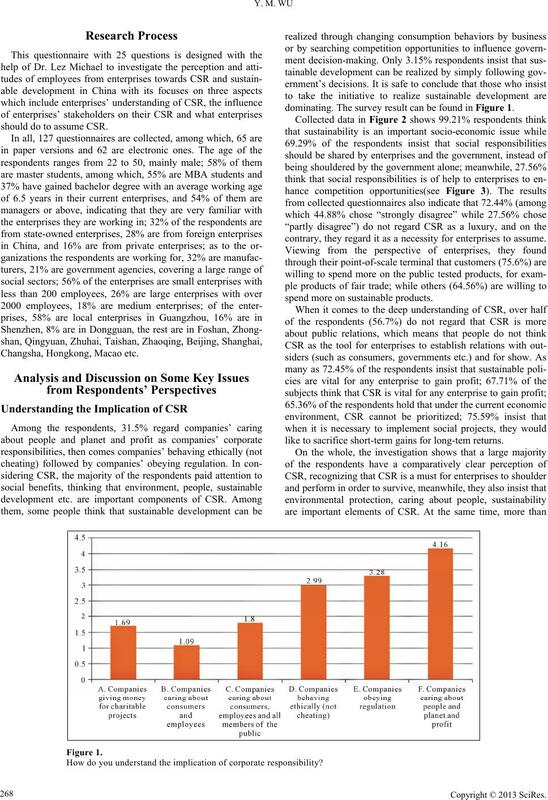 Journal of Zhejiang University, 3.
of CSR implementation. World Environment, 3.